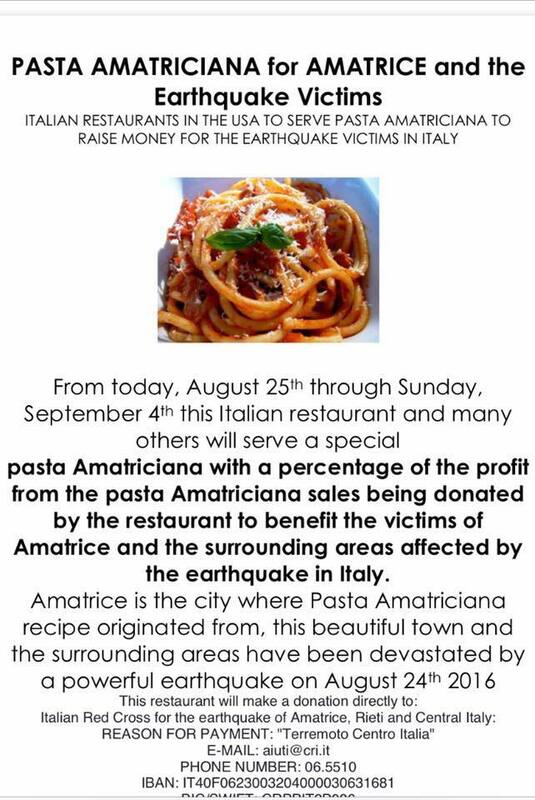 San Diego's Italian restaurants are helping the victims of the devastating Italian earthquake by paying tribute to Amatrice, Italy (the small mountainous city at the epicenter of the initial quake on Wednesday, August 24), and its famous pasta dish “Pasta all’Amatriciana,” with proceeds from the sale of the dish going to help those affected by the disaster. Civico 1845 in Little Italy will offer its own version of Pasta all’Amatriciana, a spaghetti dish with tomato sauce, Guanciale (Italina cured meat) and Pecorino Romano cheese, with all proceeds from the dish donated to the disaster relief efforts in Italy - specifically, to the Protezione Civile, the Italian department of civil protection. The dish will be offered for both lunch and dinner at $16 and the special will last for two weeks, starting on Monday, August 29. As usual, like most dishes at Civico 1845, this dish is also available in a vegan version. 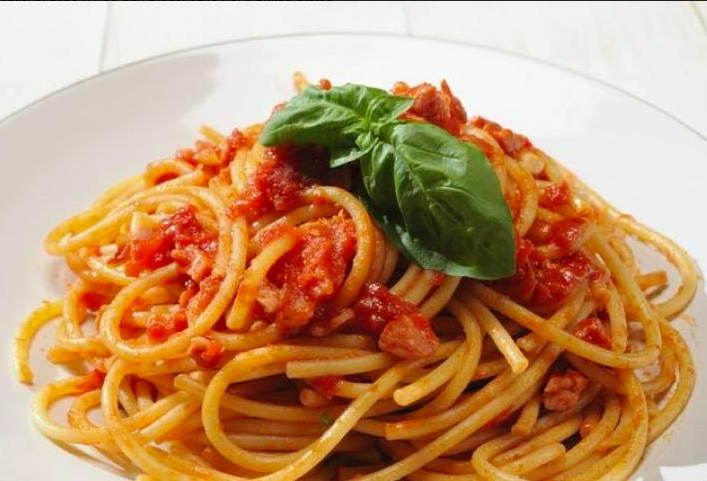 Nearby Little Italy sister restaurants Monello and Bencotto will both also be serving up their own versions of Pasta Amatriciana, running the special from August 25 through September 4 with a portion of the profits from the dish being donated to the Italian Red Cross. In San Diego's South Park community, starting on August 25, Buona Forchetta will be donating 10% of their sales to local charity, Vertical Foundation, who will travel to Italy to help people to rebuild villages, houses, churches, restaurants, wineries. Other Italian restaurants are encouraged to assist. See the flyer below for more information.